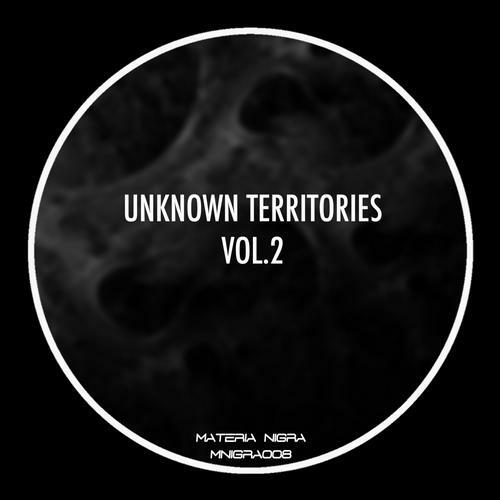 On this Unknown Territories Vol.2 we have 3 usual Materia Nigra artists Brolax Bones, Ken Young and Ed Sirat. Brolax Bones presents his usual and experimental and dark techno on his "Arma", Ken Young continues this dark trip with his "Sublime One". Abe Van Dam is a new comer on Materia Nigra, show us a dark and a progressive track "Alpha Circini". At last and not least Ed Sirat presents the track "Origine" with his collab with Stephane "Co" Pineau, another Materia Nigra newcomer.